India 31 October 2016: The only thing that comes to mind when we think of cooking with fruits are salads and desserts like puddings, pies, shakes and smoothies. You will be surprised to know the various dishes you can make using fruits like bananas. Banana is one amazing fruit which is rich, creamy and has subtle hint of sweetness. In india bananas are used in all it’s forms from the fruit to the leaves and flowers. The food dishes you can make using bananas are endless. In India, bananas are popularly used to make preparations like banana chips, raw banana curry, pachadis, kebabs and pakoras. Bananas are just not very tasty but they are also loaded with a lot of nutrients. Bananas are high in fibre making them great for digestion. Bananas are amazing source of energy, keeping a couple of them in your bag comes handy to snack on when you get sudden hunger attacks. Bananas are rich in B-vitamins, magnesium and antioxidants. Bananas are loaded with Vitamin C and contain a stress fighting properties. Bananas also aid in repairing the cell damage caused due to stress. When we have excessive alcohol it depletes the level of potassium in your body. Bananas are one of the richest sources of potassium and hence it’s recommended to have a banana when you have a hangover to restore your body's potassium. 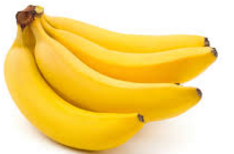 Eating Banana replaces the lost electrolytes and boosts energy levels. Bananas also work well in lowering high blood pressure, prevent strokes and promote overall heart health. It’s best to buy green, unripe bananas because bananas ripen very fast. Unripe bananas ripen on their own over a week on how unripe they are. Ripe bananas have a light green to yellow skin with black patches and feel firm to the touch. Do not choose bananas with blemished skin. Bananas are pretty easy to store. Bananas are best stored at room temperature just keep them away from sunlight. Do not refrigerate the bananas. It’s always best to store bananas away from other fruits, as contact with fruits like apples quicken its ripening process. If the banana is soggy it indicates that it is over-ripened. Bananas are versatile fruit and can be deep fried, mashed, curried or added in shakes, smoothies, desserts and salads. Read on to see 10 best recipes using bananas. Banana fritters are a famous south indian snack and is Popularly called as Pazhampori by Malayalis. In this recipe the banana pieces are coated in Gram flour batter. 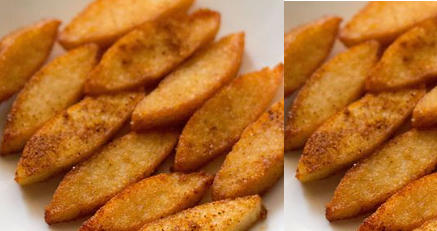 These Gram flour coated banana pieces are deep fried in oil till they turn golden brown and crispy. 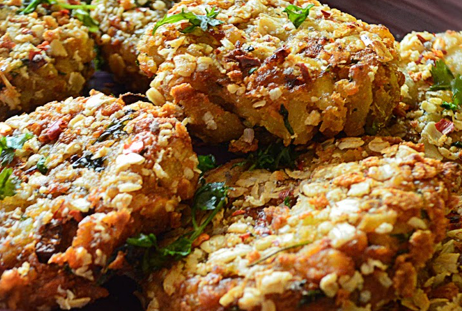 You can also make fritters or pakore using raw bananas. To make this tasty snack you need to cut raw bananas into pieces and have them coated in a batter made from gram flour and spices. Fry these pakoras till they turn golden brown and crispy. These pakore taste best when eaten with fresh coriander chutney. Bananas make awesome dessert ingredients. This is a cake made using Bananas and is Coated with some delicious creamy cheese frosting, You can make this yummy banana cake with cream cheese frosting for any celebration. This is a traditional korma recipe with a twist of some amazing fruits. In this korma we have used Potatoes, spinach herbs and spices and added our twist by adding apples and fried bananas to this classic korma recipe. We call it the Taley Kele ka Korma. 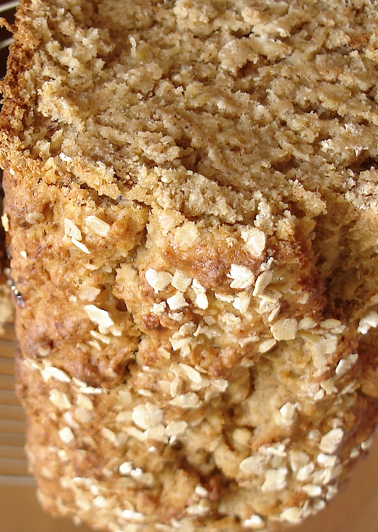 If you love baking breads then you are surely gonna love this Banana Oat Bread. This is an easy to make bread recipe with the healthy benefits of bananas. To make this bread we have used Oat flour and whole wheat flour to make this tasty, wholesome and flavourful bread. Meen Vazhakkai Chops is a delicious recipe made from Banana strips and fish pieces coated in corn flour and rice flour, These pieces are further deep fried in oil and then wrapped in some yummy blend of masalas. In this recipe we are going to use some raw bananas to make some lip-smacking banana kebabs which can be served as evening snacks. These banana kebabs are easy to make and all you need is some raw bananas and a handful of ingredients. Here is a recipe to make some fancy kachoris. To make these Raw Banana and Coconut Kachori you need some mashed raw bananas and mix it with some rice flour and spices, the center of this tasty treat is filled with grated coconut, sesame seeds, raisins and some more spices. Pancakes are a popular breakfast option all over the world. These banana pancakes are absolutely delicious and super easy to make. Adding a little vanilla flavoring to these super soft pancakes makes them taste just out of this world. Banana Florets in Malvani Masala local South Indian evening snack. This amazing snack is made by mixing some local south indian spices along with a hearty blend of peas, bananas and aromatic coconut.